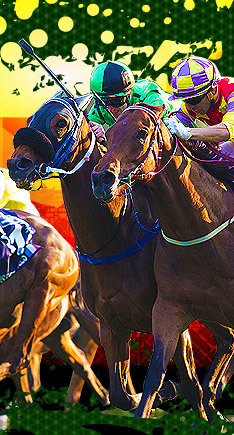 All variations of Basic Horse Racing bets stem from the premise that you will receive payouts based on the first, second, third and fourth place finishers. You win by selecting the horse that finishes first (to win). You are wagering on a horse to Win, Place and Show. You receive one ticket for all three wagers. If your horse wins, you receive Win, Place and Show payouts; if your horse finishes second, you receive Place and Show payouts; and if your horse finishes third, you receive the Show payout. This type of bet might also include any two or three horse combinations of win, place and show bets such as win/show, win/place or place/show. You win by selecting the first two finishers, in any order, in a designated race. You win by selecting the first two finishers, in exact order, in a designated race. You win by selecting the first three horses in the exact order of finish, in a designated race. 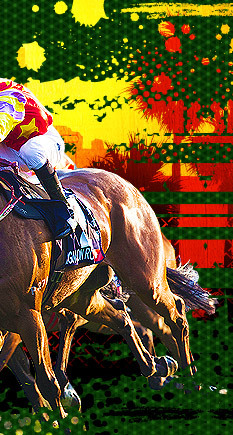 You win by selecting the first four horses in the exact order of finish, in a designated race. To win, you must select the winners of two designated, consecutive races by placing the wager before the first of the two races. 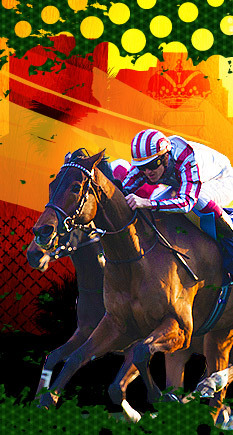 To win you must select the correct first place finisher in each of the races that make up the Pick-3 or Pick-4 ticket. To win you must select the correct first place finisher in each of the races that make up the Pick-Six ticket.